This one row crochet shawl is absolutely perfect for those who love meditative and easy patterns which you can memorize easily. 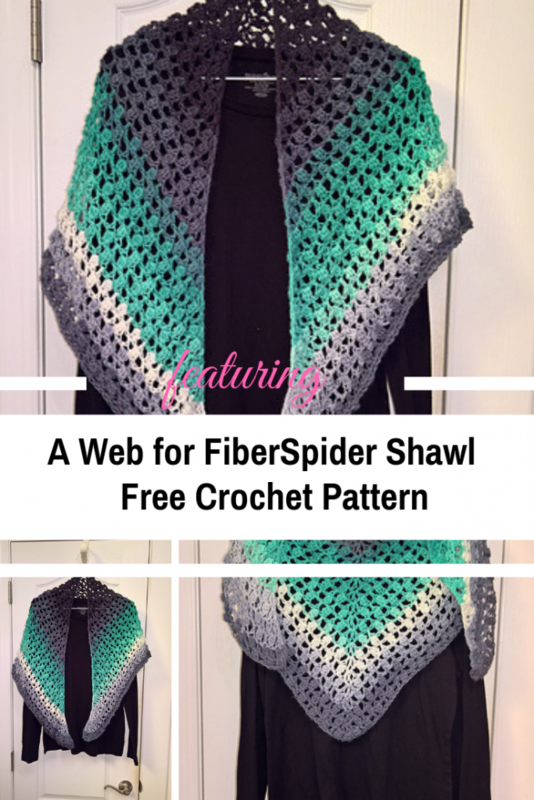 A Web for FiberSpider shawl free crochet pattern, designed by PurpleIguana is a beautiful triangular shaped crochet shawl and a great take along project you could do anywhere, anytime without referring to the pattern constantly. This shawl pattern is just fabulous! Check out the One-Row Crochet Shawl With Free Pattern with all the directions and full written patterns at: Purple Iguana Designs. Thanks to PurpleIguana for the article inspiration and featured image.